MyAdventurePlus | Walked Te Araroa (2,300km from Cape Reinga to almost Bluff) to raise awareness of SCOUTS! Walked Te Araroa (2,300km from Cape Reinga to almost Bluff) to raise awareness of SCOUTS! That said, I’ve done it! 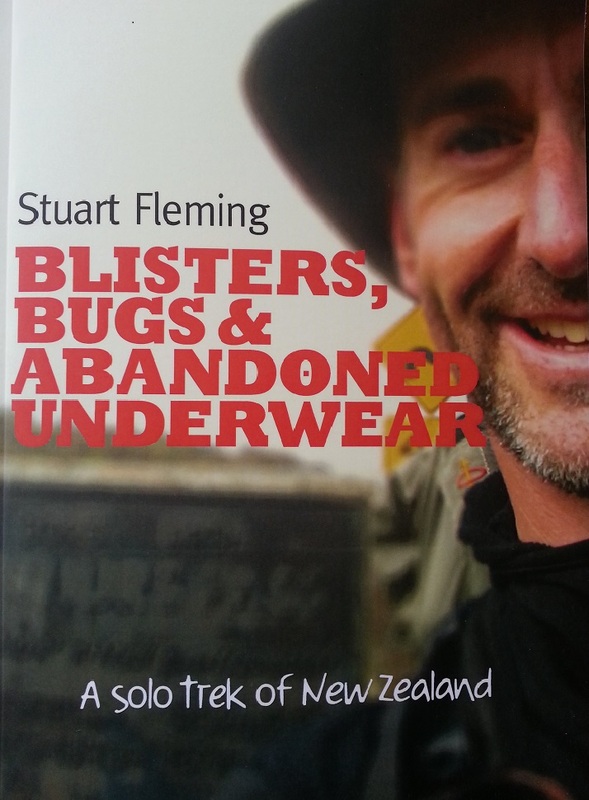 A couple of months ago I took delivery of ‘Blisters, Bugs and Abandoned Underwear – a solo trek of New Zealand’ and have been shipping it around the globe to everyone who pre-ordered their limited edition copies. It was a humbling experience to complete the project and remember everyone being so supportive of my adventure. I do have some books left over. If you would like a copy (NZ$35 + shipping), flick me an email to stuart.fleming@fizzlogic.co.nz and I’ll forward you the bank transfer details. At this point it’s not available in book stores, though I am following up some leads to make this happen. My goal for 2015 is to create an electronic e-book version, so keep an eye out for that notification. I also plan to update the details of this blog, since it seems people are still reading it; no doubt during the planning of their own attempt at Te Araroa. I trust this finds you happy, healthy and looking forward to your own adventures in 2015. Week by week – but new adventure looming? It’s coming up two years since I set off from Cape Reinga to see whether I could walk to Bluff via Te Araroa – New Zealand’s national walkway. Back then I had lots to say, so blog posts were frequent. For the past eleven months, I haven’t felt as though I’ve had anything worth sharing. 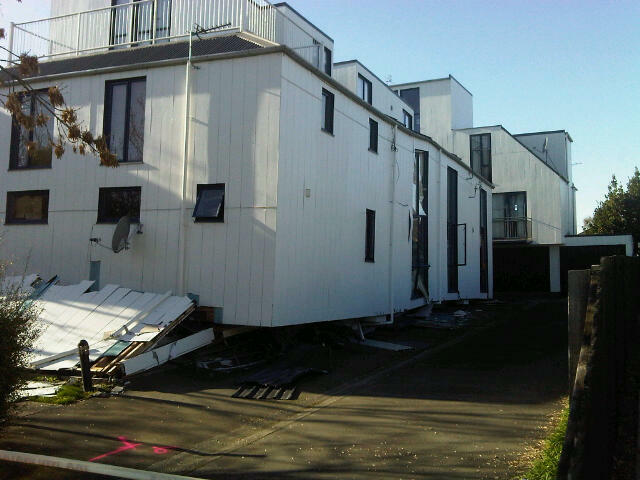 I’ve been working a ‘day job’ for Stream Group, who in Christchurch contract to TOWER insurance and manage (loss adjusting and project managing) the earthquake claims – repairs and rebuilds. As a case manager, I have about 130 broken (or “munted”) houses to look after, making sure the claim progresses as swiftly as possible. Returning to full-time work took some adjusting to. It was a steep learning curve which, when you add the emotion of upset home-owners to the mix, left me some days feeling drained and un-bouncy. Certainly not the right frame of mind for a readable blog post! I have enjoyed the regular pay packet though. It’s allowed me to rent a small place, consolidate my debt into a manageable payment plan and just this month buy a used car – for cash! My 5-year term as National Commissioner for SCOUTS NZ came to a close, and I passed the mantle to the very capable and enthusiastic Kelly Bleakley. I’ve competed in three Ceroc dance championships with the National Champs coming up 1 December. I’m in the middle of kicking off a joint business venture with a good friend of mine, and this week I deliver the first hour of my 10-session Stride (life skills) programme for at-risk youth in a Child Youth and Family secure care-and-protection unit. Plus I’ve been writing the book of my Te Araroa adventure. If I had to choose between walking all day and writing about it, walking wins. But I am making progress and I look forward (as I’m sure all those who pre-purchased a copy are too) to finishing it. And to cap it all off, I’ve now entered the Air New Zealand / Department of Conservation ‘Great Walker’ contest. The wife of my Chief Executive was the driving force behind my entry – she’s convinced I’d make a great candidate to walk all nine of New Zealand’s Great Walks in just nine weeks. To enter, I had to create a one-minute video clip – you can check it out <here> if you’re curious. I will know in a couple of weeks if I’ve made the short-list. Fingers crossed I’m one of the four winners – that adventure would fill February-April next year nicely, not to mention being an incredible experience! Some of my colleagues tease me about not having a TV. Whilst there are some evenings I would love nothing more than to collapse in front of the screen and do nothing, I suspect that my life would be nowhere near as fulfilling if that option was available to me. Perhaps that is why time seems to be whizzing past…? The tag-line for Harewood School is ‘Our pathway to learning’. Today I shared with Room 7 and 8 students my learnings from ‘the long pathway’: Te Araroa. There’s nothing quite like the buzz of speaking with a big bunch of youth! After a mentally challenging morning at work, I wasn’t really in the head-space to present at lunchtime. But by the time I set up my computer and the classes filed in from the playground, I was ready. By the time I fielded dozens of questions (ranging from “Was there any point during the walk you nearly died?” to “How did you go to the toilet?”) and headed back to the office, I was fizzing. Love it. Want to do more of it. I get inspired hearing all the adventures these young bundles of energy want to get stuck into. Thanks kids (and Liz) for being wonderful! Who’s next? How many schools would like me to help with their 2012 ‘goals’ module? Imagine coming up with a plan you think will take five years to turn into reality, only to have it drag out for 17 years. But he didn’t. And on Saturday his steadfast efforts were showcased at the official opening of Te Araroa – the long pathway. I was excited to receive an invite to the historic event and shall never forget Geoff’s remark as he addressed the crowd: “Three thousand kilometres may seem a lot, but if you have the time you can walk anywhere.” I’d had time that morning to walk from Wellington Airport to Island Bay for the ceremony. 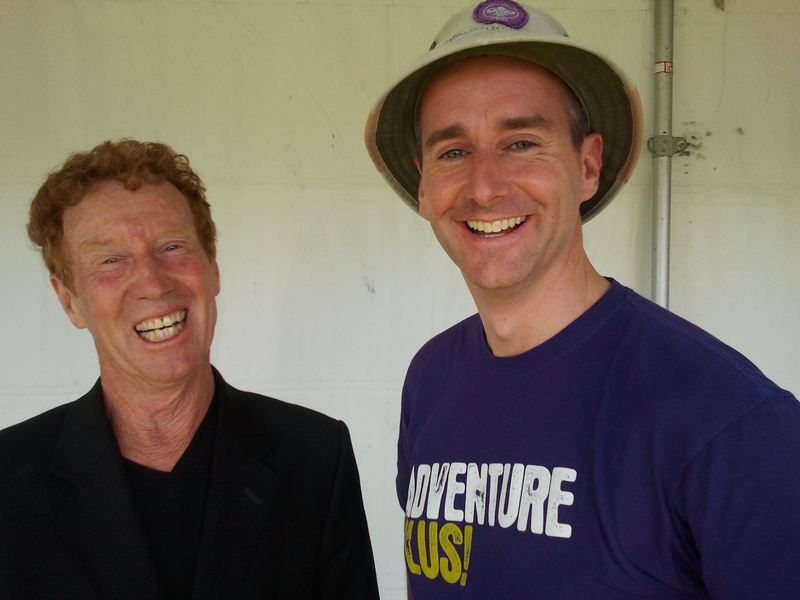 Having a laugh with the inspirational Geoff Chapple, creator of Te Araroa. The Governor-General unveiled a rock the size of a crouching man, with a large brass plaque attached describing the significance of the spot and what Te Araroa represents. I’m sure anyone who arrives foot-sore and sweaty at Shorland Park will cherish completing their day by touching the stone and reading the words, before hopping down to the water to dip their tired toes. There was one thing about the day that surprised me. It wasn’t catching up with Rebekah Wright, a fellow hiker I met on the trail a year ago at Kerikeri. It wasn’t being interviewed for TVOne News and appearing briefly in their 6pm segment. It wasn’t even how few Scouts decided to attend the once-in-a-lifetime function. 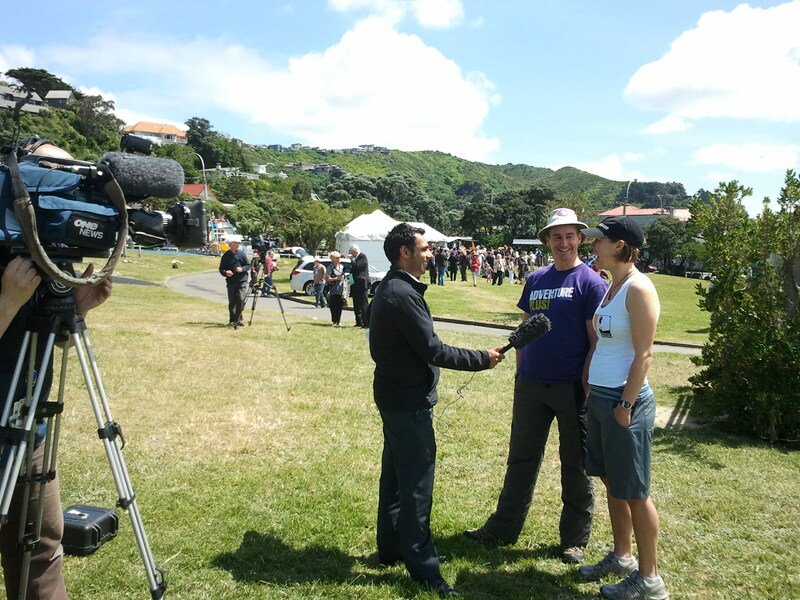 Rebekah (fellow trail-walker) and I being interviewed by TVOne News. What surprised me was how inspired I felt as I listened to other long-distance hikers as they spoke of the Pacific Crest Trail (4,286km on the western seaboard of United States, stretching from Mexico to Canada) or the Trans Canada Trail, a proposed 18,078km stroll across the massive country, or even the relatively short 1,000km Bibbulmun Track in Western Australia. Perhaps – one day – there will be another epic adventure of the walking variety? Happy Te Araroa anniversary to me! No need for a TV with a show like this! Twelve months ago today this view was my reward for a day of walking along Ninety Mile Beach: my first full day on Te Araroa. Because the memory is so strong it seems like yesterday I was patching my blisters and getting used to the weight of my pack. Yet in other ways my adventure seems such a long time ago – so much has happened in the 12 months since I started the trek. Next weekend is the official opening of Te Araroa by His Excellency, Lt Gen The Rt Hon Sir Jerry Mateparae, Governor General of New Zealand at Island Bay in Wellington. 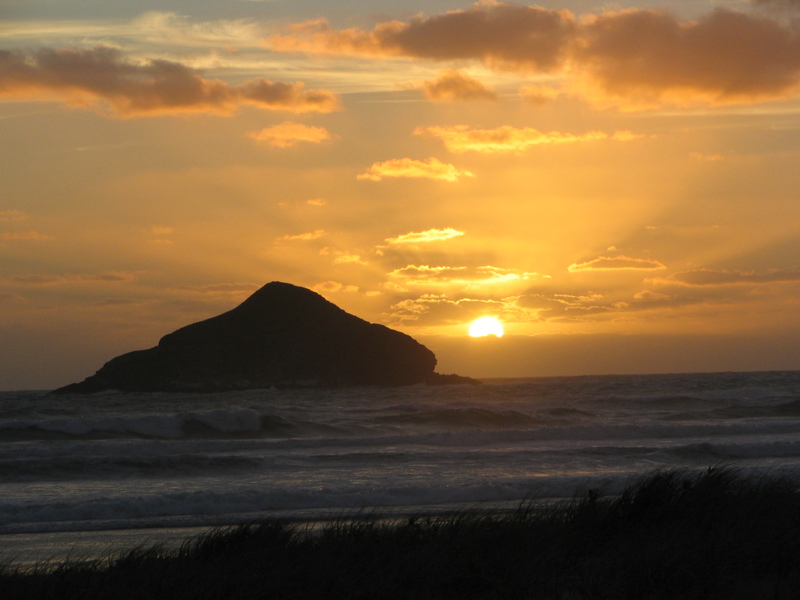 There will be live video links from Cape Reinga and Stirling Point. I’m going to pop along to help celebrate. I walked through some of Christchurch’s devastated centre today, around the edge of the Red Zone. The sun was shining; a beautiful ‘traditional’ Canterbury winter’s day. Barely a puff of wind. Barely anyone around. Lots of silence. Some buildings appeared untouched. Others leant intoxicatedly, wobbly on unstable foundations. Smashed windows leered and broken water pipes spewed murky liquid. Bare sections marked the first-fallen structures. 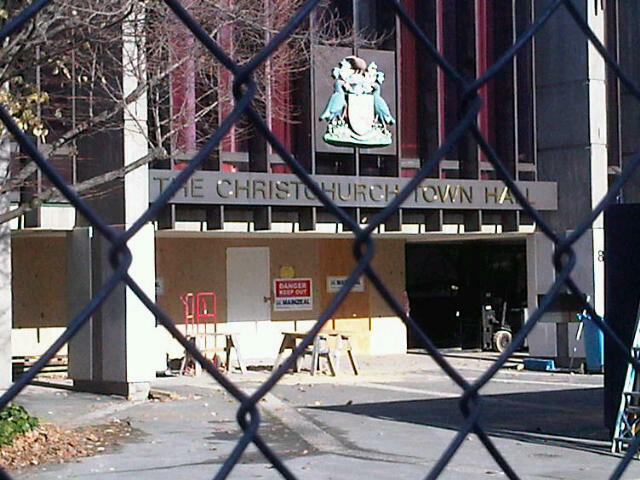 The main doors leading in to the Christchurch Town Hall are boarded up and fenced off. Roads are dotted with yawning pits. Once four storied, these apartments are now three storied, having slipped off and squashed their carport foundation. Beneath the angled timber (bottom left) lays a flattened sedan. Windows are shattered and gaping, displaying a jumble of furniture and abandoned possessions. Footpaths and roads undulated, pushing the sand and silt and goodness knows what else into zigzagging channels. 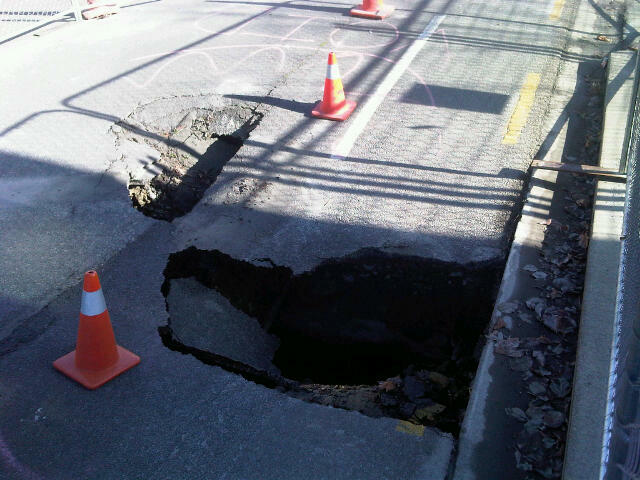 Puddles were deceptively deep, a calm cap over sharp subsidence in the tarmac. Large carparks were transformed into lakes. The skyline was unfamiliar. From where Metro Cafe once stood, the BNZ Building is now visible down Colombo Street, the Cathedral’s spire no longer impeding the view. The entire side of Les Mills is now exposed, unhindered by the CTV building. How does the slanting Grand Chancellor continue to defy gravity? It was a shock to see the main Town Hall entranceway boarded up. The Convention Centre’s door was shattered and the Crowne Plaza (where I used to work years ago when it was a shiny new Park Royal) stood forlornly, a hollow shell. Yet despite the destruction and in the face of years of renewal, today’s city centre was peaceful. Calm. Quiet. Beautiful. I wondered what the centre would look like if the demolished buildings were all ‘replaced’ with open spaces, grass, trees and plants – enhancing further our Garden City history. I wondered what the centre would sound like if cars were kept at bay, with only pedestrians and cyclists and electric buses/delivery vehicles allowed inside the ‘four aves’. OK Christchurch, it’s time we smiled. To laugh in the face of this tough time (did you realise we’ve had 26 quakes 5.0 magnitude or higher since 4 September? ), to celebrate this 100th MyAdventurePlus blog post and mark my return to the city, I’m offering 26 action-packed, 100% non-boring Te Araroa presentations, free of charge. I had a fantastic time trekking solo for 2300km along the length of New Zealand this summer. I also hated parts of it. From sunshine and beaches to snow and blisters, I guarantee you’ll laugh at least once as I share tales from the trail. So gather your audience: school class, community group, sports group, school assembly, coffee group, workplace team, neighbourhood council, volunteer association, youth group… and be prepared to ‘escape’ the wobbles for a while. 26 first-in-first-served one-hour presentations with no speaker fee attached (though a koha is a delightful suruprise!). Cosmopolitan Christchurch gets first dibs, and transport to your venue is appreciated (I don’t have a car at present). There’s no minimum/maximum audience size. Surprise me! Let’s share: one presentation per organisation please. Daytime or evening or weekend engagements are up for grabs. Earthquakes: should I hit the road again?